Vegan with a Vengeance | Hot vegan chick.....peas! 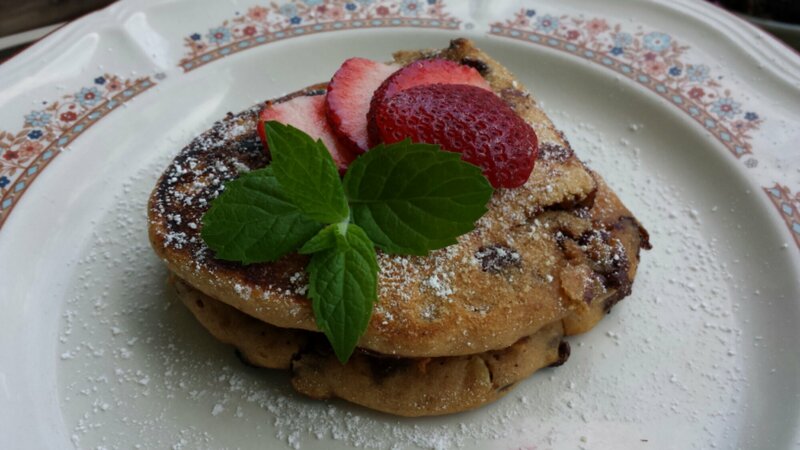 Holiday weekends mean brunch time! Mr. HVC wanted pancakes for breakfast this morning and before he could finish saying the word I was already pulling out my worn copy of Vegan with a Vengeance. It’s a simple recipe but definitely makes the best vegan pancakes I’ve ever had. 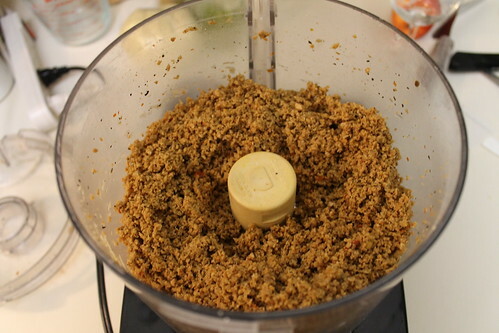 It’s also really easily modified — I’ve used lots of different flours, fruit, nuts, and extracts and they come out great every time! 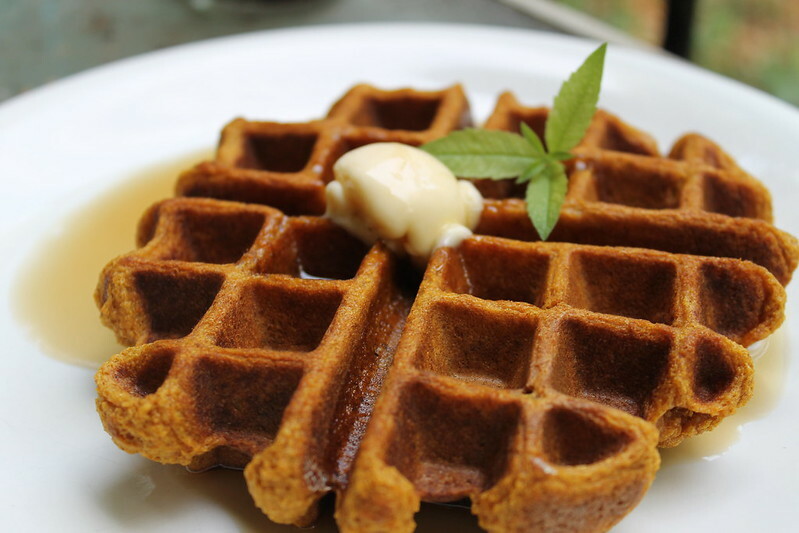 So to kick of the vegan month of food on this beautiful Monday, I bring you……pumpkin waffles from Vegan with a Vengeance. I decided to try out this recipe on my brand spankin’ new waffle maker this weekend and let me tell you, this makes one mean belgian waffle! It’s waffley perfection — crispy on the outside, moist and fluffy on the inside. The smell of cinnamon, ginger, cloves, and nutmeg that wafted through my kitchen while these were cooking made me almost start eating the raw batter. The recipe is supposed to make 12 belgian waffles (or 24 regular ones) but we only got about 6 out. Maybe we like ours extra thick! To me it seemed like 3/4 cup of batter cooked for 4 minutes made the perfect waffle. 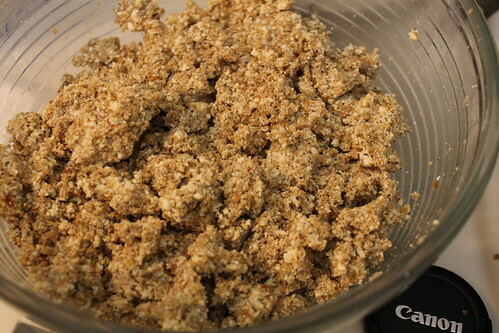 One thing I have started to do with a lot of my breakfast foods is sub white whole wheat flour for AP flour. Normal whole wheat flour comes from red wheat, which contains tannins in the bran that can lend a bitterness to baked goods. White whole wheat flour is milled from white, or albino, wheat, which lacks these tannins but has the same nutrient and fiber profile of hard red wheat. 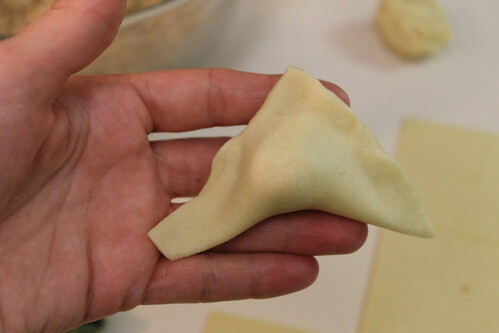 The flour from WWW also tends to be lighter overall, so baked goods still are fluffy. 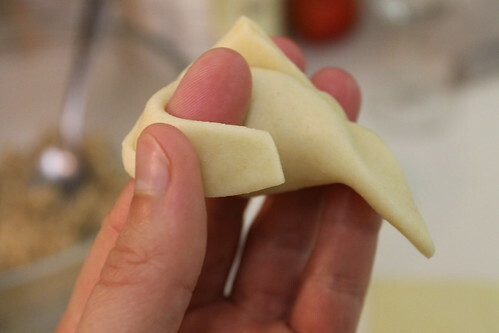 This is great news for muffin and pancake lovers like me! I still prefer regular whole wheat flour in sandwich breads and rolls and I still use AP flour in desserts, but white whole wheat has become a welcome addition to breakfast foods. My mom used to buy a canned tortellini soup. I thought it was the bees knees and had it almost every day for lunch. 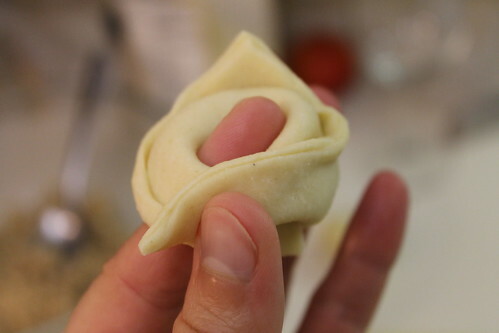 I the tortellini had ground beef and some kind of cheese…the flavor wasn’t even that good but the texture was rich and velvety inside and biting into the little pastas was so much fun! The broth was tomato-y but didn’t have that many veggies. 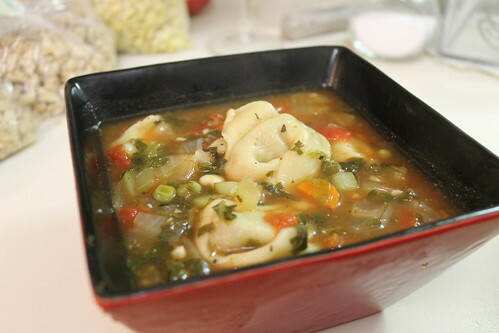 I wanted to recreate that soup tonight and decided to make a tofu ricotta and TVP-stuffed tortellini soup. Here’s how it came out! 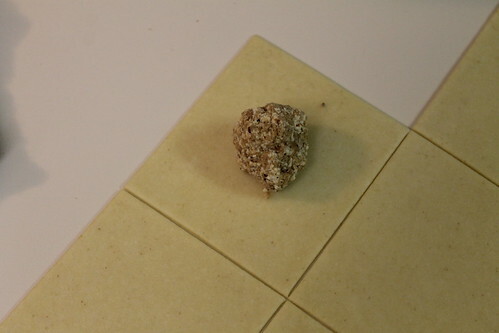 While I was buying my tofu at the store I spotted Tofurkey Italian Sausage. I was already feeling too lazy to work out how to spice the TVP, so I just decided to spring for this stuff instead. It’s actually pretty tasty! I think it’s mainly tofu and seitan with spices so I didn’t feel like it was too processed. 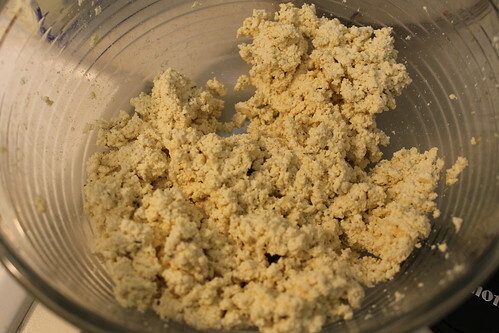 I made the tofu ricotta from Vegan with a Vengeance and mixed it up with the sausages, which I ground up in the food processor. 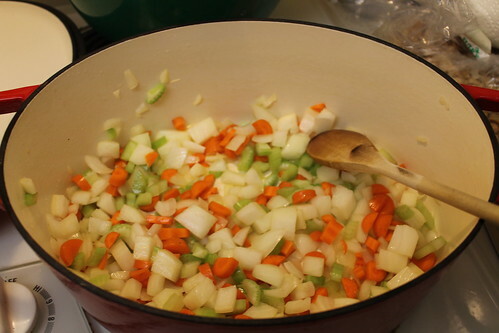 As I was preparing everything I started to saute the holy trinity of soups: onion, celery, and carrots. I also added some zucchini. 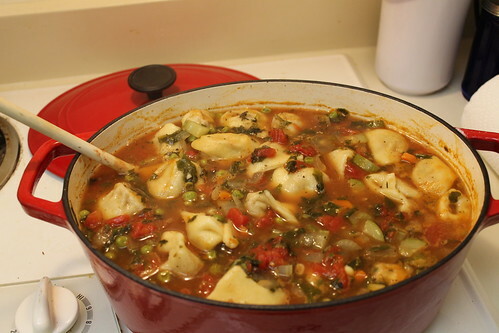 Then I added broth, diced tomatoes, spinach, frozen corn, frozen peas and spices and let it all simmer while I made the tortellini. 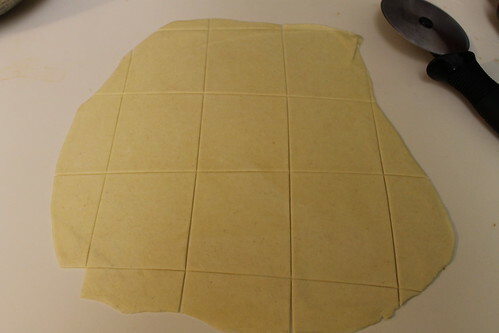 5) Place your finger in the middle and fold the corners over. 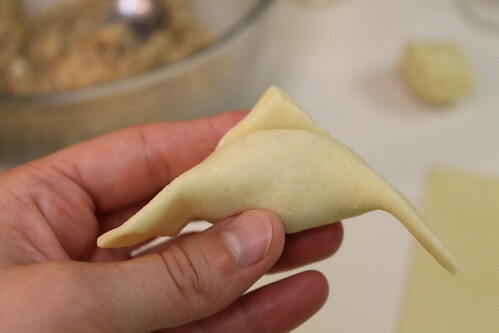 Pinch together. 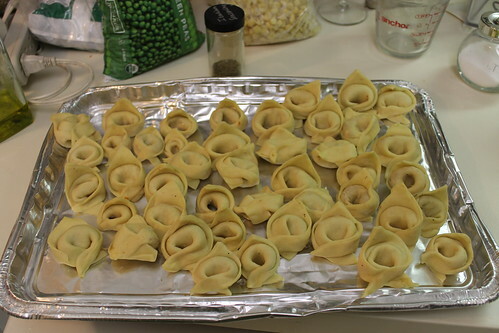 One batch of pasta made about 50 large tortellini. Please excuse my ugly tray! It was delicious! Even better than the canned stuff.